Squirrel sightings are common throughout Tampa and are most commonly seen scurrying around parks and climbing trees. 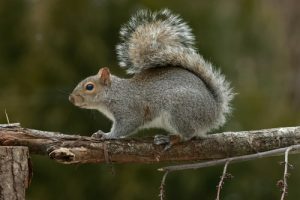 Because of their behavior, most people see squirrels as being innocuous, but despite their cute appearance, they have no place in or around your home. Their small size allows them to squeeze into your home through even the smallest gap in a roof or wall, often leading to all sorts of damage to important structures within your home. Your drywall and insulation are subject to destruction due to nest building. Replacement can be quite costly. The risk of infectious disease spreading to you, your family and pets. Urine and droppings can soak into walls and insulation which is incredibly difficult to clean and can cause your energy costs to increase significantly. If squirrels have invaded your home, don’t wait to do something about it. Instead of using store-bought trapping options that are largely ineffective and do nothing to address the cause of the infestation, let the experts here at Critter Control® of Tampa help. Our wealth of experience in dealing with squirrel infestations means you can rest easy at night knowing the problem has been totally solved. For any questions or to schedule a home consultation, call us today at 813.948.0870.